Want to know the best tourist places in Jagatsinghpur District of Odisha. If yes, then here you can get the list of famous and popular Tourist spots in Jagatsinghpur and also get a complete idea about the best picnic spots in Jagatsinghpur and lots more. Just see below to know about the best tourist spots in Jagatsinghpur or the places to visit in Jagatsinghpur and experience the complete Jagatsinghpur Tourism. It is a major sea port of India for trade activities. The enchanting beauty of the sea, a wonderful sea beach & marine drive, beautiful creeks, estuaries and evergreen forests of estuarian islands of the river Mahanadi, make the place a major tourist attraction. Observing the movement of small marine crafts and the giant ore carries add to the pleasure of the tourist. The tourists can avail better accommodation facilities are at Paradeep.There are good numbers of hotels like Hotel Empires, Hotel Golden Anchor , Hotel Paradeep Inn, Hotel Paradeep International, Hotel Aristocrat, Hotel Seapearl, Hotel Shree Residency, Hotel Santosh Plaza. Panthnivas Paradeep is also located paradeep to cater the needs of tourist. 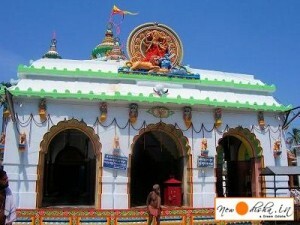 Gada Kujanga is mainly famous for its presiding deity Kunja Behari. Garh Kujanga is also known as Subhadra Kshetra. The Raghunath Jew Matha located near the temple of Kunja Behari is an added attraction of this place. The tourists can avail accommodation facilities at Forest Rest House, Kujanga, RD Bunglow, Kujanga. 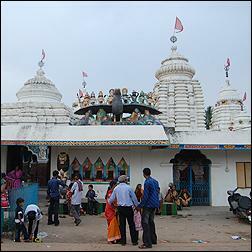 Gorekhnath Temple is one of the famous Lord Shiva Temple in Jagatsinghpur. this temple is situated near Gorekhnath railway station. Lots of people come to this temple each year. The easiest way to reach this Gorekhnath Temple is Railway. You can easily travel to this temple via Railway. It is an attractive tourist spot comprising vast green shades of casuarinas vegetation, shimmering golden beaches, natural creeks and island. A perfect place to soak oneself in the organic value of nature. The tourists can avail better accommodation facilities are at Paradeep.There are good numbers of hotels like Hotel Empires, Hotel Golden Anchor , Hotel Paradeep Inn, Hotel Paradeep International, Hotel Aristocrat, Hotel Seapearl, Hotel Shree Residency, Hotel Santosh Plaza, Paradeep Panthnivas is also located Paradeep to cater the needs of tourist. Jagatsinghpur, the smallest district of Odisha in size, is known for its rich cultural heritage and contribution to socio-economic development of the state. Traditionally known as Hariharpur, it was one of the buzzing centres of maritime trade for centuries. Socio economic importance of Jagatsinghpur touched its zenith during freedom struggle. Alaka Ashram, better known as the Shabarmati of Odisha, remained the citadel of freedom moment in the State. And again during Bhoodan Moment, activities at Alaka Ashram caught the attention of the whole neation. Temples, beaches and sculptures of historic importance are the major drivers behind tourist influx to Jagatsinghpur. At end of the Village Mahilo in a tipical rural atmosphere, the famous temple complex of Lord Raghunath Jew and Lord Chandrasekhar stands around 30 years back. One can find a rare combination of Sri Ram known as Raghunath Jew and Lord Siva known as Chandrasekhar in a single compound. A old temple of Lord Chandrasekhar was destroyed by the effect of time and new temple complex as taken its place by adding various new temple be the effort of the villagers. Now it become a important spot of Jagatsinghpur District. Give Responses for "Tourist Spots in Jagatsinghpur"